Combining a sports car design and agility with everyday practicality, the E-PACE joins the PACE family of SUVs by Jaguar. SML Frontier Automotive, sole agent of Jaguar and Land Rover (JLR) in Sri Lanka launched the E-PACE a five-seat compact SUV that packs the design and performance of a Jaguar sports car into a spacious, practical and connected all-wheel-drive vehicle. 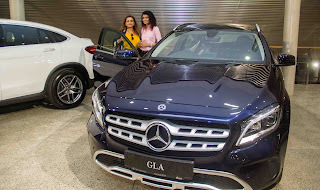 The compact SUV was launched at Access Tower II at an exciting evening with the new RUMPUNCH Spring 18 collection of swimwear with over 300 guests attending the event. The new Jaguar E-PACE is a five-seat, compact SUV that packs the design and performance of a Jaguar sports car into a spacious, practical and connected all-wheel-drive vehicle. The interiors have calm sanctuary feel, created through elegance, simplicity and a visually reductive approach. The design enabled technology is central to the New E-PACE’s desirability. And of course, it’s a Jaguar with unrivalled capability. The vehicle emotionally charged with the Jaguar DNA and unquestionable design pedigree. “We at SMLF were very excited about the launch of the Jaguar E-PACE and will always aim to align Sri Lanka with all key Jaguar vehicle launches globally, ensuring our customers get the latest Jaguar vehicles. 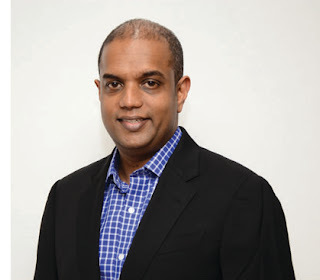 With the purchase of any Jaguar or Land Rover vehicle we offer our customers the best experience they could possibly have; from the moment they walk into our showroom to our aftersales service,” said Ravi Perera, CEO, SML Frontier Automotive. The highly anticipated New E-PACE made its grand entrance down the catwalk after the exciting and exotic fashion show ‘TRIBAL DASH’ by RUMPUNCH. Post the show guests had the chance to be in the driver seat and experience the New Jaguar E-PACE for themselves with an insight into the vehicle with one of SML Frontier's certified instructors. “It is our firm belief that we don’t just sell a vehicle, but become part of a lifestyle. 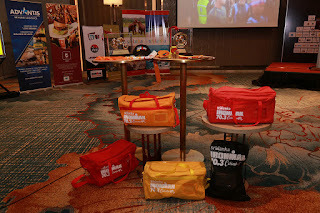 To further establish this we partnered with our local Jaguar and Land Rover Owners Club loyalty partner RUMPUNCH for this event. Together we were able to create a unique launch that embodies a fun and vibrant lifestyle you would have with the Jaguar E-Pace,” stated Tasneem Siddeeque, Marketing & CRM Manager for SML Frontier Automotive. The Jaguar E-PACE is the pure example of when design takes over. 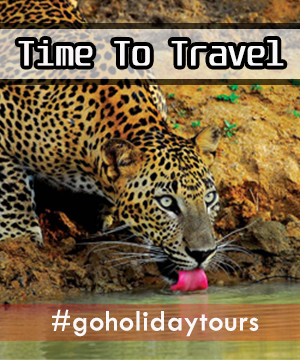 Beautiful to look at and fun to get to know, with soul and integrity that can only come from Jaguar. The E-PACE is now available for customers to test drive and view at the Jaguar Land Rover showroom at No. 74, Flower Road, Colombo 07 or customers can call 2552444. Jaguar Land Rover is the UK’s largest automotive manufacturer, built around two iconic British car brands: Land Rover, the world’s leading manufacturer of premium all-wheel-drive vehicles; and Jaguar, one of the world’s premier luxury sports saloon and sports car marques. We employ almost 42,000 people globally and support around 240,000 more through our dealerships, suppliers and local businesses. 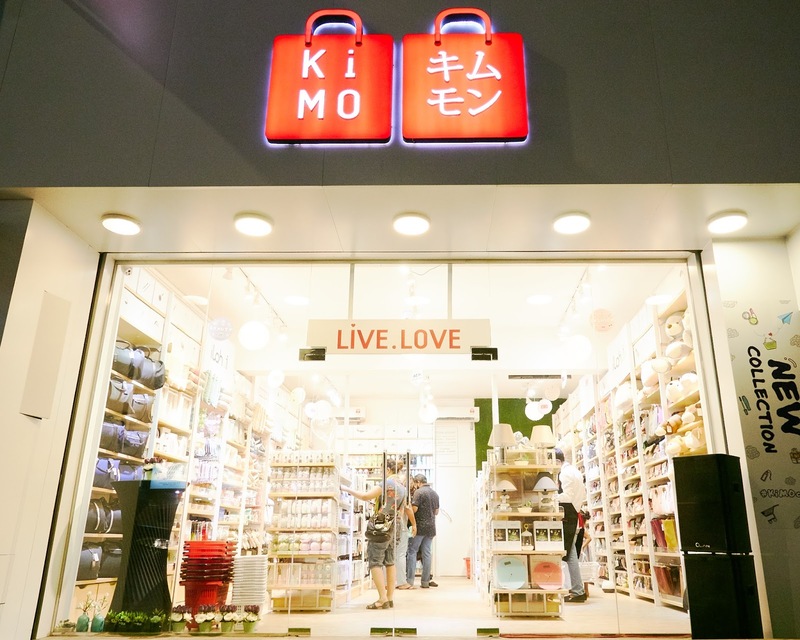 KiMO Ceylon, the latest Korean brand with everything cool home decor, stationary, cosmetics, digital accessories and more is taking over Colombo. The modern-minimalist store offers everything from cute soft toys and colourful stationery to digital knick-knacks and handy travel accessories to make you swoon. With more than 200 new products in their new collection, KiMO Ceylon offers quality products at affordable prices covering the hottest-trending items from Korea. 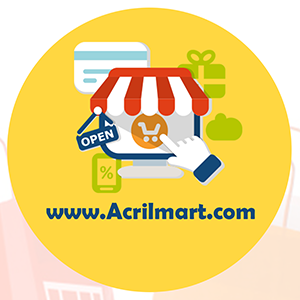 The array of products in ranges from the latest collection of coffee mugs, scarfs, cute pastel-colored handbags and an expansion of their cosmetic range. With a variety of cleansing and moisturizing picks including makeup remover wipes with Olive Oil to facial foam to double-cleanse. The new range of masks includes sheet masks for your whole face, eye masks, and nose masks. The wide selection of hair and body care products makes for an entire bath routine from all the offerings in store! Makeup lovers, can also be pleased to know that there is a modest yet interesting selection of makeup available including base makeup consisting of three different types of BB creams. The lipsticks are anything but ordinary, featuring dual-ended tubes, two-tone bars, along with a dual-ended eyeshadow stick/eyeliner. They are also several types of eyeliner, mascara, and brow pens with product prices starting at Rs. 275/- upwards. Not forgetting, the men’s collections of leather slippers, boxers to men’s perfumes and socks, KiMO Ceylon offers something for every need. They new Stationary and Back to School range are a selection of just about everything cool for your kids. 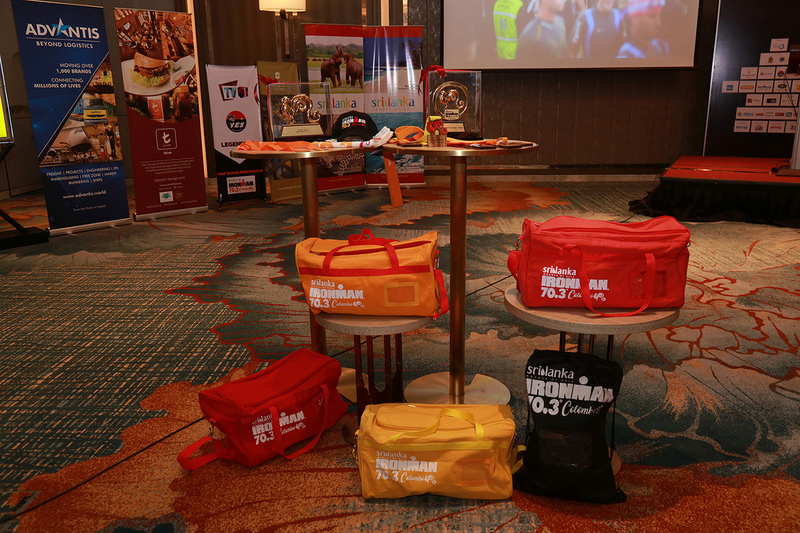 The wide selection of items includes school bags, an array of water bottles and quirky notebooks and pens. From cloth storage boxes, to air tight glassware to basic tupperwear boxes, KiMO’s new Creative Home Necessities has everything you home would need. Adding to the popular range of Scents, the new collection also offers car air fresheners, to cupboard scents to home scents that are ideal to keep your surroundings smelling perfect. The New Collection is the epitome of innovative design that meets the lifestyle needs of customers. Shop now at the ideal one-stop-shop for this season at No. 28, Galle Road, Wellawatte (Next to Savoy Cinema). 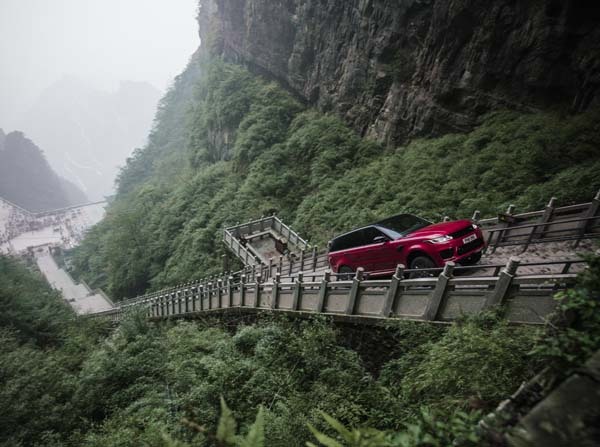 The new Range Rover Sport PHEV showcased its full performance potential by storming around the 99 turns and up the 45-degree 999 steps in the Dragon Challenge, but also demonstrated its breadth of capability despite having a hybrid powertrain. 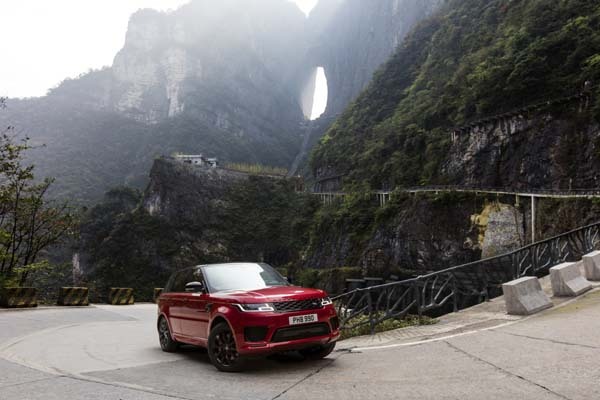 Dan Hook, who works in the Vehicle Engineering team developing the P400e, was also heavily involved in the preparations for the assault on the 11.3km twisty Tianmen Mountain road and then up Heaven’s Gate steep staircase. Dan explained that the gradient and the surface meant the P400e would need all of the power at its disposal, and that the electric motor would play an integral role in doing so. 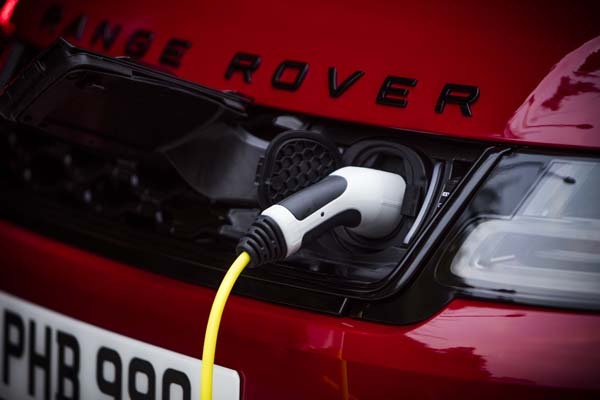 “The Range Rover Sport PHEV is never just a conventional petrol-powered car. It is always using the electric motor to boost overall performance, and to fill in the torque gaps in the powertrain particularly when you change gear,” he adds. During the lead up to the challenge in China, the P400e used in testing at Gaydon was one of Dan’s Attribute Demonstrator Vehicles (ADV). This was the first vehicle to bring all the design, engineering and software for the P400e into one package. With the car still evolving and developing, preparations for the Dragon Challenge were running concurrently, which Dan and engineering saw as a good opportunity to test the full capabilities of the car and implement changes. The unique goals set for the Dragon Challenge and by engineering went hand-in-hand, and at the time of testing the plug-in hybrid SUV was being calibrated for on-road and off-road driving, and the testing at Gaydon fitted in as chance to test the car’s capability. “When you are developing a car as complex as a PHEV, the software tends to be updated frequently while issues are being resolved and it gradually gets to the point where the bugs are fixed the car becomes a stable system. The shipping of the cars didn’t help as it takes many weeks to get them out there and by the time the cars left they were almost out of date. We had to update them as soon as we got there, as the engineering teams had tweaked the production vehicle software before we left” he adds. Manufacturing is centred in the UK, with additional plants in China, Brazil, Austria and Slovakia. At Jaguar Land Rover, we are driven by a desire to deliver class-leading vehicles, which will provide experiences our customers will love, for life. Our products are in demand around the globe. In 2017 Jaguar Land Rover sold 621,109 vehicles in 130 countries, with more than 80 per cent of our vehicles being sold abroad. Our innovation is continuous: we will spend more than £4 billion (LKR in the coming year on new product creation and capital expenditure. From 2020 all new Jaguar Land Rover vehicles will be electrified, giving our customers even more choice. We will introduce a portfolio of electrified products across our model range, embracing fully electric, plug-in hybrid and mild hybrid vehicles as well as continuing to offer ultra-clean petrol and diesel engines. SML Frontier Automotive, is the sole agent of Jaguar Land Rover (JLR) in Sri Lanka. For more information on Jaguar Land Rover in Sri Lanka you can visit the showroom at No. 74, Flower Road, Colombo 07 or call 2552444. The Range Rover Velar has been shortlisted for two prizes at the 2018 World Car Awards. Land Rover’s luxury SUV has been named among the top three finalists for the World Car of the Year and World Car Design of the Year titles. 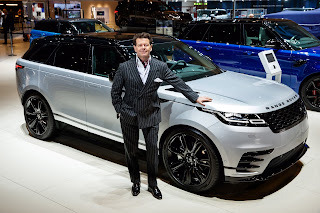 Gerry McGovern, Chief Design Officer, Land Rover, said: “I believe design has the power to enrich people's lives and the most compelling designs are the ones that stir emotions. From the modern and elegant silhouette to the calm sanctuary of its reductive interior, the Range Rover Velar has captured the hearts of customers all over the world”. The compelling design of the Range Rover Velar features perfectly optimized proportions and a stunning silhouette. The luxury SUV’s super-slim Matrix Laser-LED headlights, flush deployable door handles and sleek Touch Pro Duo infotainment are all hallmarks of Range Rover’s reductionist design philosophy. From 2020 all new Jaguar Land Rover vehicles will be electrified, giving our customers even more choice. We will introduce a portfolio of electrified products across our model range, embracing fully electric, plug-in hybrid and mild hybrid vehicles as well as continuing to offer ultra-clean petrol and diesel engines. To find out more or to test drive a Range Rover Velar, contact sole agents for Jaguar Land Rover Sri Lanka – SML Frontier Automotive on 0703887788 or 0703889988. Colombo’s favorite tastemaker in coffee is now back at the Bandaranaike International Airport with a slicker, bolder and more contemporary look. Since it was first opened in 2006, The Coffee Bean and Tea Leaf’s airport store has been the first and longest running international franchise at the BIA. The airport store embodies the CBTL philosophy of a home away from home - comfort and familiarity no matter where you go in the world. The franchise is one of the world’s most well-known brands, easily recognized by customers for its distinctive purple and white design. The Coffee Bean and Tea Leaf first opened in 1963 in Hollywood, Los Angeles. Ten years later, the Airport ‘Bean’ served its 3 millionth customer. The Coffee Bean remains the quintessential Hollywood brand- every celebrity has been snapped with a familiar CBTL takeaway cup in their hand. 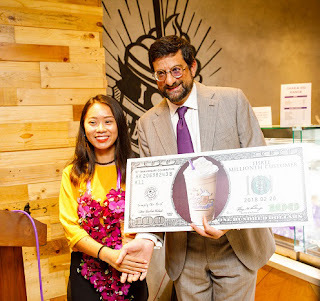 The Coffee Bean is known for its legendary Ice Blended range, concocted by a barista during an exceptionally hot summer in 1987 long before the advent of the frappuccino. Today, over three million customers walk into Coffee Bean stores around the world every day. The airport store reopens with a modern contemporary aesthetic. The new Coffee Bean design replaces the old darker wood with a brighter and slicker new California vibe. More grab and go food and beverages are available at the outlet. A more efficient layout has created more seating capacity and a larger kitchen with a full walk-in chiller facility, ready to drum up an exciting and extensive variety of food and beverages. The official opening of the refurbished airport store on 20th February was attended by Chief Guest Hon Nimal Siripala De Silva - Minister of Transport and Civil Aviation, Guest of Hon. John Amaratunga - Minister of Tourism and Christian Religious Affairs, Saman Ediriweera - Chairman of Aviation Services Sri Lanka, Ranjith De Silva - Vice Chairman of Airport & Aviation Services Sri Lanka, Jeff Goonewardena - Director of Airport & Aviation Services Sri Lanka and The Chairman of The Calamander Goup Inc, Roman Scott. Connecting the dots between peace of mind, life in the city and livable space, John Keells Properties announced the launch of ‘TRI-ZEN’, a new residential property on Union Place. These smart living spaces in the heart of Colombo are for women and men on the go in the city; a stone’s throw from its many business hubs, yet designed for comfort and style. 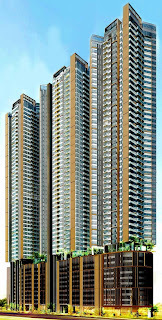 The project is expected to be completed by 2023 and is currently open for sales. John Keells Properties leads the charge on the property development and real estate sector in Sri Lanka, with a significant portfolio of real estate in Colombo and the suburbs. The company’s most recent acquisition is a property on Vauxhall Street valued at Rs 4.2 Billion. 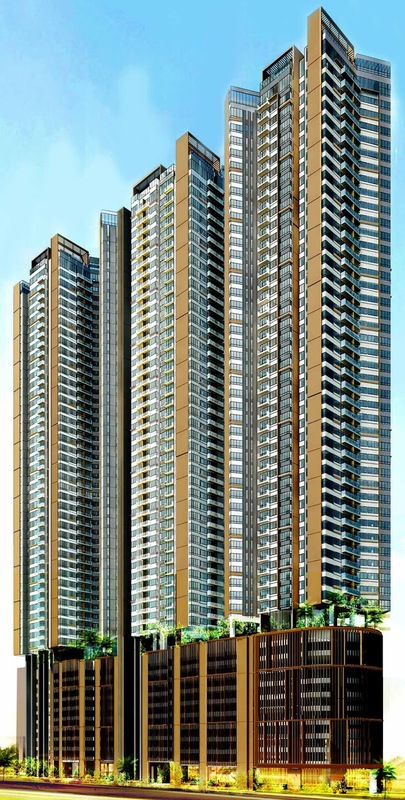 Recently the company led and successfully completed the design and construction of two landmark residential properties in Colombo - OnThree20 on Union Place and 7th Sense on Gregory’s Road. 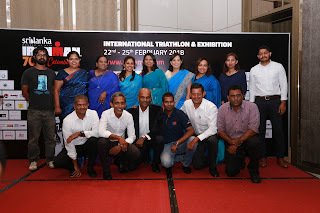 It is also the property developer transforming Colombo’s cityscape with Cinnamon Life, the ongoing Integrated Resort bordering the Beira Lake. TRI-ZEN is John Keells Properties’ newest project focusing on metropolitan spaces that cater to the needs of Colombo’s growing class of working elite. From Union Place, TRI-ZEN’s residents will have immediate access to the city’s best hospitals, restaurants, schools, hotels, shopping malls and more. Moreover, its central location takes hours spent in traffic out of the equation-which means residents can luxuriate in the extra time freed up every day to spend time with family and friends. TRI-ZEN’s apartments are based on smart design principles to maximize space and comfort, and this efficient design allows these apartments to be affordably priced. Common open spaces are a key design feature throughout the property; the perfect spaces for conversation, relaxation and contemplation. This project is designed for both solitude and company- stay in on a Sunday and enjoy the city’s drowsy reverie, or go out on a Friday night to one of the many cafes, bistros and restaurants situated only minutes away. In a meeting with the American Chamber of commerce in Sri Lanka recently, Mani Kulasooriya - founder of Sysco LABS, and Ron May, Vice President of eSolutions at Sysco, addressed the audience with a presentation on the way that “Technology is eating the World” – an examination of the way that all industries are transforming to operate like the tech industry and how companies can react to this emerging trend. The following article summarizes key insights from their joint presentation. Many of the major industries in the world have experienced upheaval due to tech companies entering their space. Uber’s entry into the taxi industry, and Airbnb’s entry into hospitality are some of the famous examples, along with Amazon’s disruption of how we think about retail. These tech companies have been successful by going beyond simply iterating upon the way industries run or innovation processes; they have used technology to completely disrupt the way that these industries serve their customers. In the case of Uber and Airbnb, by leveraging the sharing economy to overcome the barriers to these respective industries; and Amazon, by overcoming the need for brick and mortar storefronts through leveraging the online marketplace. These disruptions have fueled both the growth of tech companies and their transformation. The largest companies in America in the previous decades were Oil and Energy companies, but in 2016, the trend shifted towards tech companies occupying the top five slots; Apple, Alphabet, Microsoft, Amazon and Facebook respectively. This growth was driven by a transformation within the tech companies themselves. In the late 90s, technology was a support function of organizations and more often than not, one that could be outsourced out of the organization if not out of the country, so many of the largest tech companies were BPOs. However, as technology continued to develop, the leading tech companies became those that specialized in creating technology to be used by consumers: The Apples, Microsofts and Googles of the world. But today, in the Silicon Valley, the leading tech companies are those that provide a more traditional product or service but with a superior customer experience driven by technology - Netflix, Amazon, Uber, etc. This latest trend of superior customer experience through technology is growing fast as the latest innovations in technology allow tech to make a greater impact along the value chain. More obvious innovations such as the IoT (Internet of Things), robots, drones, automated cars, virtual assistants and employees, are driving change on the customer facing end of the value chain, while more invisible innovations like blockchain technology - which drives cryptocurrencies and the big data produced through smart sensors and edge computing - transform value chains at their base. Together, what we are witnessing is an ever-growing influence of tech in business that will only allow tech companies to survive the future. So, if you aren’t a tech company yourself, how do you react to this change? Well, start operating like one. Lead like a founder - which is to say that you need to lead with the will to take large bold decisions the way that the founder of the company would. These decisions are the forces which will allow you to transform. Secondly, organize your company like a tech startup - with agility in mind. Small teams that own projects, move fast and are held accountable. Thirdly, hire techies and integrate them into you teams; this allows you to bring technology to every aspect of your organization and allows your teams to operate with entrepreneurial dexterity and independence. Finally, to really operate like a tech company, you need to focus on the customer experience. The experience that your customer has with your product and your service, but also the experience your customer has through all their interactions with your business, and the emotion that the brand carries through these numerous touch points. The experiences that your customer has along this journey creates the new brand. The experience-based brand that works across every touch point, and a positive customer experience transforms your consumers from customers into fans. A fan of a brand is more than a customer; while a customer is fickle and may switch your product out for a competitor’s if they perceive even a slight improvement, a fan will stay with you even when they may have an anomalous negative experience because of the history they have with the brand and the positive experiences you have created. In the market of the future, it will be brands that can create fans using technology that will thrive, as all industries become tech industries. Ron May, Vice President - e-Solutions, Sysco Corporation is a professional services leader with proven expertise in digital customer experience, direct sales, contract negotiation, P&L management, large scale operations, strategic solution delivery, and cultivation of executive level client relationships. 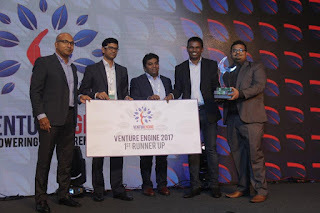 Mani Kulasooriya is the founder of Sysco LABS (formerly known as CAKE) and led the company from a startup in the Silicon Valley to eventually be acquired by one of the largest companies in the world; Sysco Corporation (NASDAQ: SYY). He has deep connections in the Valley, having worked for companies like Citigroup e-Citi and Yahoo prior to this venture. He is an astute tech investor and has investments in over 25 companies in tech. 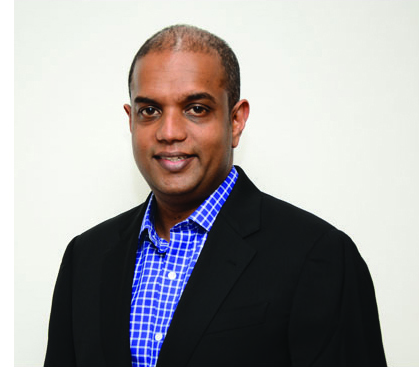 He has been instrumental in bringing the Silicon Valley thought process and innovation capabilities to Sri Lanka. Sysco LABS is the innovation arm of Sysco Corporation (NYSE:SYY), the world’s largest foodservice company. Sysco is the global leader in marketing, selling and distributing food products as well as equipment and supplies to the hospitality industry. Sysco serves over 500,000 customers through its team of over 65,000 associates and operates 300 distribution facilities across the globe. Sysco LABS is re-imagining the global foodservice industry: our engineering teams based out of Colombo, Sri Lanka, Redwood City, CA and Austin and Houston TX, will innovate across the entire supply chain – sourcing of food products, merchandising, storage and warehouse operations, order placement and pricing algorithms, delivery of food and supplies to Sysco's global network - culminating in the in-restaurant dining experience for the end-customer. Operating with the agility and efficiency of a tech–startup and backed by the domain expertise of the industry leader, Sysco LABS is poised to revolutionize one of the biggest industries in the world. The PropertyGuru Asia Property Awards (Sri Lanka), the premier industry awards ceremony that will be held for the first time in Colombo in 2018, welcomes the support and sponsorship of JLL Sri Lanka, the country’s leading professional real estate services firm. 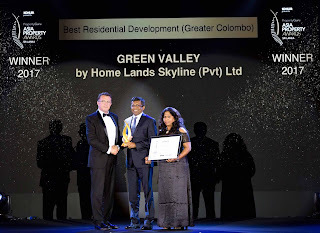 Following the unprecedented success and overwhelming positive reception from Sri Lankan developers that were recognized at the PropertyGuru Asia Property Awards Grand Final event in Singapore last November, the historic domestic gala dinner in Colombo will take place at the Shangri-La Hotel on Thursday, 12 July 2018. Nominations are now open for eligible entries and will be accepted until 11 May, with the official shortlist to be revealed in the first week of June. The entire awards system is independently judged by a panel of experts, and supervised by BDO, the world’s fifth largest auditing firm led by Sri Lanka managing partner Sujeewa Rajapakse. 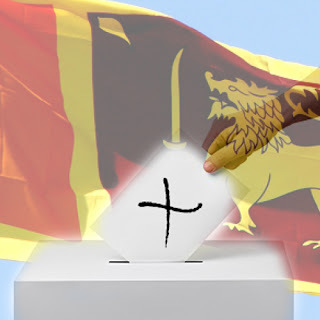 Polling for much awaited Sri Lanka`s local government elections started at 7.00am today (10/02/2018), at 13,374 polling centres across the island. According to the Election Commission, 15,760,867 people are eligible to exercise their franchise to elect 8,356 members out of the 57,219 candidates vying for 340 local government bodies under the newly implemented election system. The Election Commission has urged all voters to mark their respective ballot box with an X against the selected party symbol. 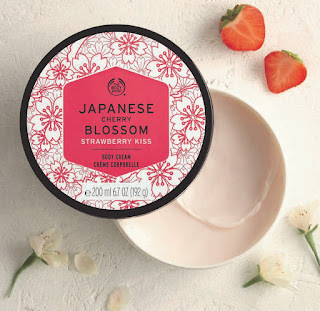 Infusing the celebration of Valentine’s Day with the ephemeral scents of cherry blossom and strawberries, The Body Shop announced the launch of three sensuous new beauty products that will make the perfect gift to treat the special people in your life. 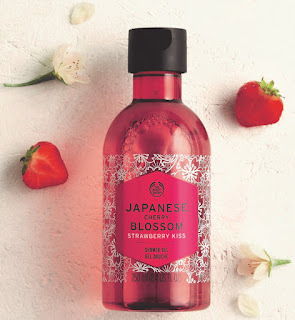 Created using the irresistibly sweet scents of Japanese Cherry Blossom at its base, the new line of products includes Body Shop’s Japanese Cherry Blossom Strawberry Kiss Body Cream, Shower Gel and a special Eau De Toilette. 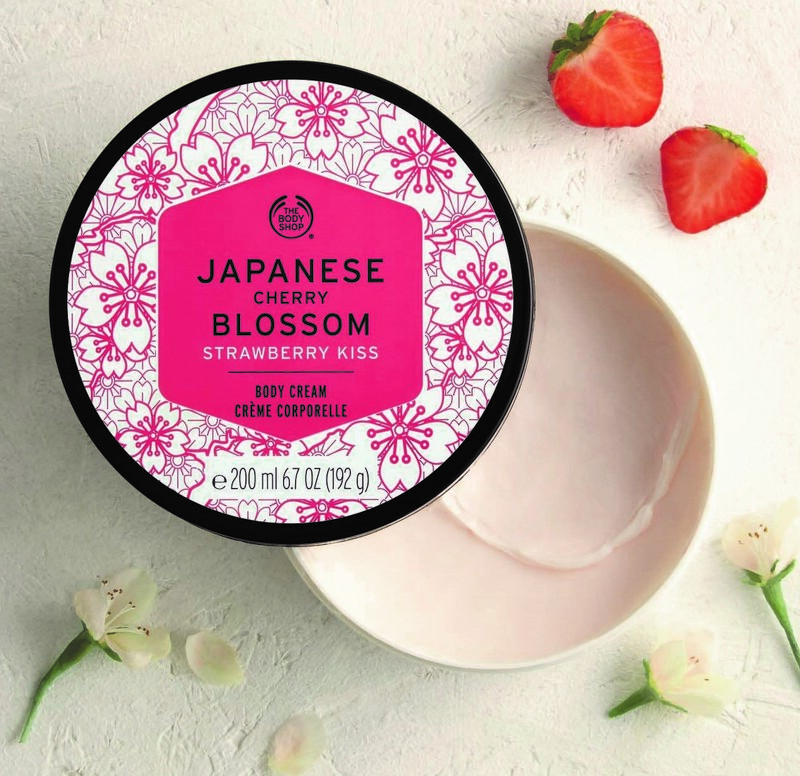 The new range is comprised of Body Shop’s Japanese Cherry Blossom Strawberry Kiss Body Cream, an addictively silky-soft body cream infused with the extract of hand-harvested, cold-pressed Japanese cherry blossoms and juicy notes of strawberries, pink peony and amber that leaves the skin richly moisturized, hydrated and fruity fresh. The Cherry Blossoms, from the Body Shop’s newly launched range, are considered a timeless symbol of natural beauty that is associated with the Japanese concept of mono no aware­ ­– celebrating the exquisite beauty and timeless grace of nature itself. The newly launched Japanese Cherry Blossom Shower Gel is perfect for gentle cleansing, leaving in its wake a delicately blended fragrance of sweet magnolia, feminine cherry blossom and hinoki wood accords to refine and replenish tired skin. 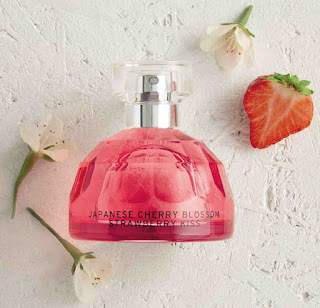 Meanwhile, The Body Shop Japanese Cherry Blossom EDT Gift Set – combing a rich duo of eau de toilette and the matching body cream for head-to-toe sweetness - is a perfect surprise your loved one this Valentine’s Day. Manufactured to the highest ethical trade standards and free from all animal testing forever, The Body Shop brand is synonymous with high-quality natural ingredients and ethical sourcing and environmentally friendly manufacturing practices. 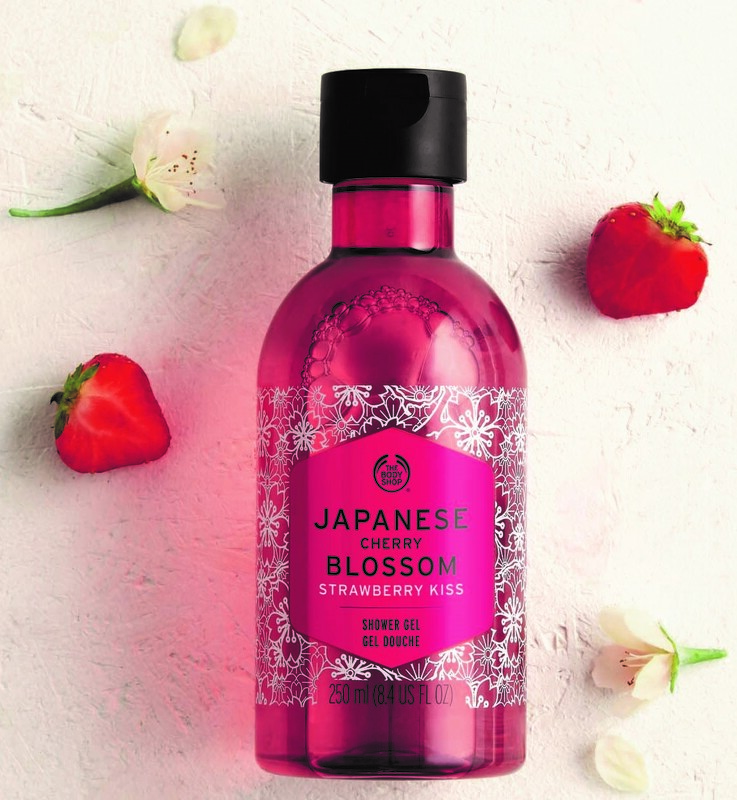 The new Japanese Cherry Blossom range is the very latest among an extensive and diverse range of bath and body products, fragrances, hair care, skin care, make-up and other accessories. It’s popular Spa of the World, Tea Tree, and Fuji Green Tea ranges are also available at The Body Shop at The Body Shop flagship store on Bagatale Road and Odel on Alexandra Place. “Nothing about a car categorizes it as a man’s or a woman’s. It is an individual choice. I think Mercedes understands this better than any other, considering the inspiration that the company has drawn from women over the years. 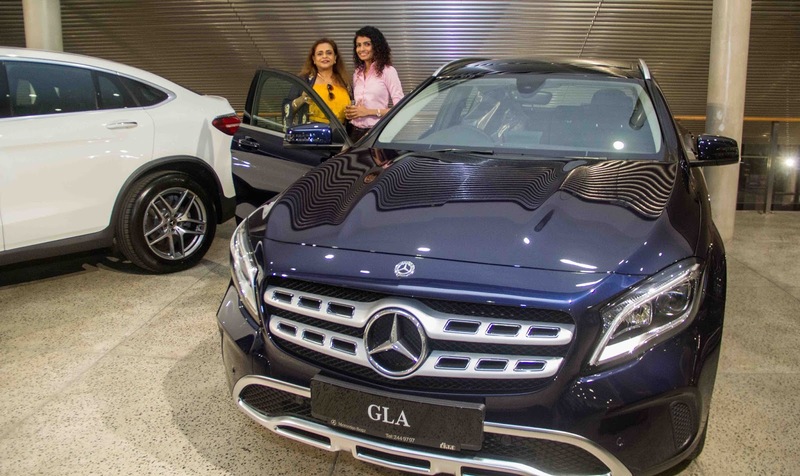 This event is not intended to launch an exclusive car for ladies, but to celebrate women and invite them to view our entire range of cars,” Dilrukshi Kurukulasuriya, Chief Human Resources Officer at DIMO PLC, noted in an impactful statement.